Yes, it’s time for another blind beer review! For these reviews, I have no idea what the beer is — I literally know nothing about it. I don’t buy it, put it in the refrigerator, or pour it in the glass; I just taste it, rate it, and try to guess its style. This beer was served to me with a very small, almost sparse head that very quickly faded into just a thin cover. 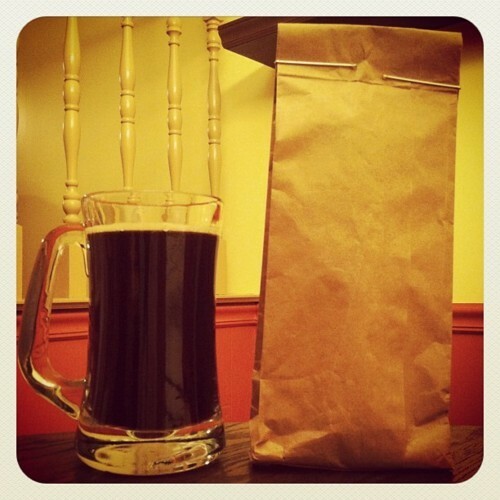 The beer was a very dark brown, and when held to the light had lighter brown caramel colored edges. While the beer is opaque, I could tell by those lighter edges that this brew had no particles or sediment present. The lacing was fair with a few pieces scattered down the glass. 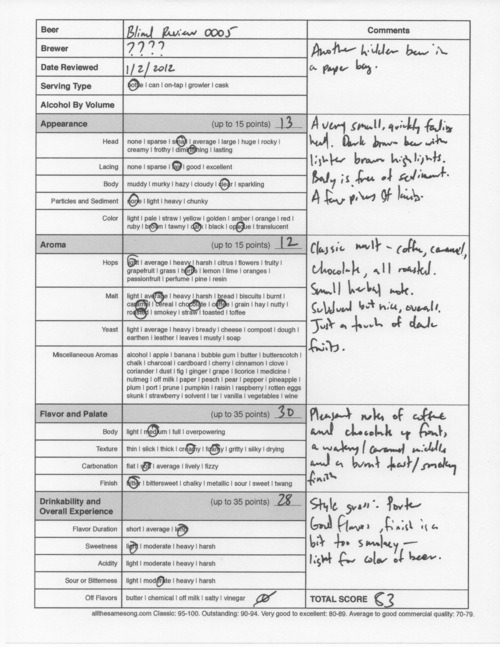 On the sip, there is a very pleasant note of coffee and chocolate, which turns watery and more caramel in the middle, before leading to a finish that is smokey and burnt, almost like burnt toast. I thought the intensity of the finish was a little overwhelming on the burnt note, which took away from the nice coffee and chocolate flavors found at first taste. Overall, this beer wasn’t bad, and I found it to be shockingly light for its color. Again, good flavors, very drinkable, but the finish is too much of a star in a detracting way. My style guess: I’m thinking this is pretty low ABV (alcohol by volume) and with it being as dark as it is, I have to say Porter. So what beer is this? 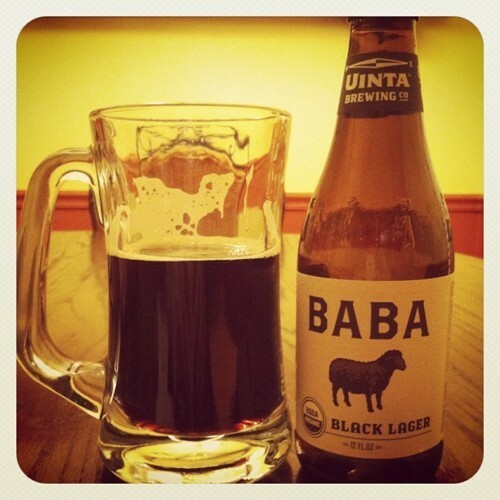 Uinta Baba Black Lager, a Euro Dark Lager, 83 points. Price: $1.59 US for one twelve ounce bottle. Alcohol by volume: 4%.